We are already at 50% capacity for Anti-PROM registration and we have only had it open for 2 days! This is going to be bigger and better than ever! The not so good news is I just found out our website host company is down, making our website completely inaccessible. Not good timing! We will notify y’all through our Facebook page when it is back up and running…making the Anti-PROM registration ready to go again. Until then, please let us know if you have any questions, ideas for awesome prizes for our chronically ill youth and/or donations (prizes) for Anti-PROM. 5th annual Anti-PROM 2017 Registration is now open! Hurry, tickets limited! We are so excited for our upcoming 5th annual Anti-PROM at the beautiful Magnolia Hotel in downtown Houston! Anti-PROM is a specially planned prom for chronically-ill youth with Dysautonomia and other life-changing chronic illnesses. Tickets are free, but rsvp is required and tickets limited. 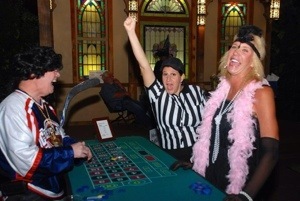 Register today at our website www.MiksHiddenHearts.org! FREE PROM Dresses for our registered Anti-PROM ladies. Stay tuned for details! Prize donations needed: We make sure everyone of our chronically-ill guests have a prize valued at $50 or more to win at Anti-PROM and we could not make this possible without your help. Our goal is to have each guest receive an amazing Swag Bag filled with MHHA gear and prizes. Have a business and would like to donate items toward it? Can be individual items, gift certificate or up to 125 items for each of our guests. Special recognition for our business contributors will be given on our website, blog, Facebook page and at the event. Please message us through our contact page with your donation. Thank you so much to our donors and sponsors who help make Anti-PROM 2017 possible! Questions? Email us at info@mikshiddenhearts.org. From the Momma Bear: Today marks the 6 year anniversary when my daughter, Mik, had her last carefree healthy teenager day. Tomorrow, 6 years ago, she woke up and was excited to attend her first homecoming dance. But something unexpected was triggered and she collapsed on the dance floor. Her entire life changed at that minute ultimately having to be homebound for the rest of her years of high school. And let me tell you my friends, it has not been easy for her or for me as her mom to watch her hurting so much all these years. So what can you do to honor your Oct 22? Take a deep breath and thank God, despite any battles you are facing, that your autonomic nervous system (that awesome system that works quietly in the background and rarely gets praise) is working. That you can stand without passing out. That you can walk for 10 minutes without needing a wheelchair. That you can take a shower without feeling like you ran a marathon. That every nerve in your body is flared and you hurt like you have the flu. That your food can digest without requiring a trip to the ER because your GI almost completely stops and causing extreme pain. That all your hopes and dreams of your teens’, that you thought was completely in their grasp if they just worked hard enough in school, was completely taken away and you both had to start over from the beginning. So to honor Oct 23 and turn it into a positive, the state of Texas declared Oct 23 as Dysautonomia Awareness Day in honor of Mik and her work through MHHA. Tomorrow will be the 5th annual. Much love to you all and keep spreading awareness. Because of all your help through our charity, you spread HOPE to our families in need so much more than you realize. Mik’s Hidden Hearts Alliance serving teens and young adults with #Dysautonomia and other life-changing chronic illnesses. Can’t attend, but would like to help with our 2017 Donation Campaign? Please consider making a donation here: DONATE HERE. 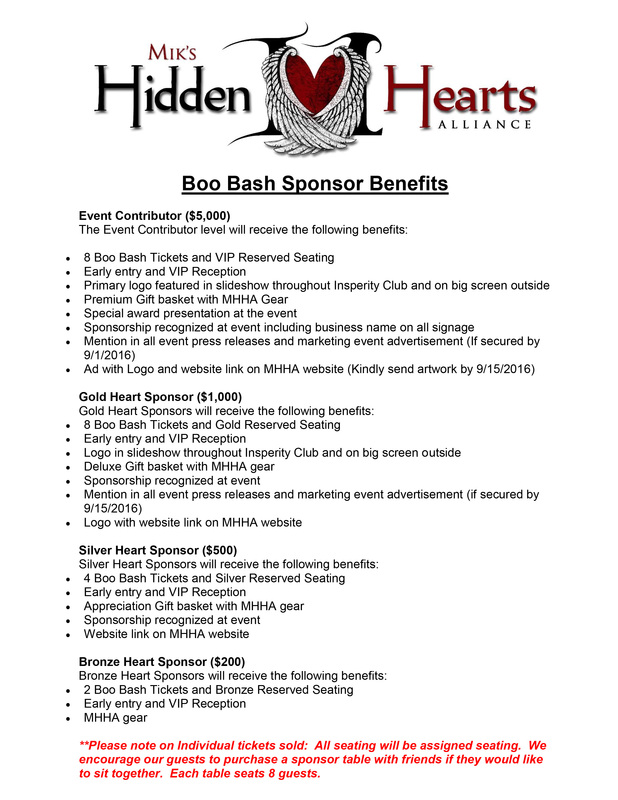 2016 Boo Bash Sponsors – Thank you! We would like to express our appreciation to our current 2016 Boo Bash Sponsors and their dedication to help teens and young adults with Dysautonomia and other life-changing chronic illnesses. 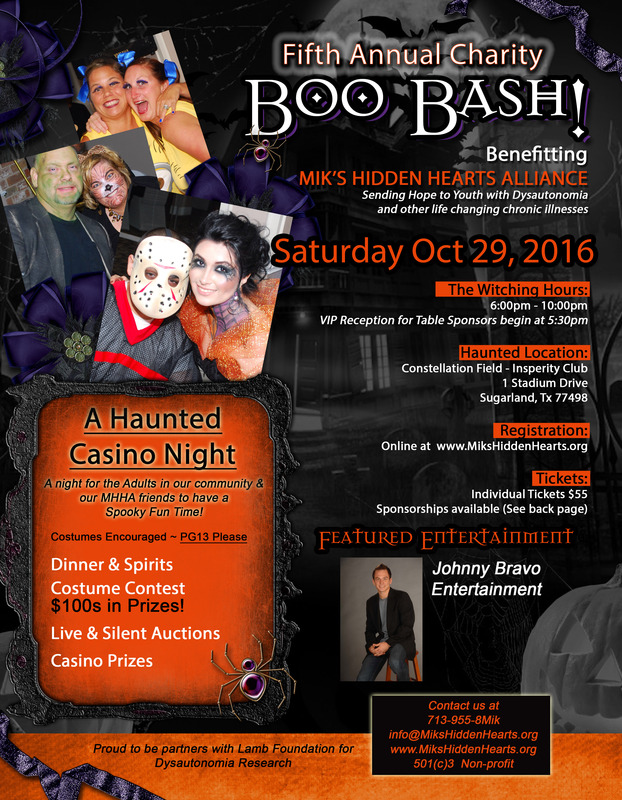 Come join our sponsors and us at the BOO BASH! Get your tickets before they sale out. Click here for more information. Mik’s Hidden Hearts Alliance serving teens and young adults with #Dysautonomia and other life-changing chronic illnesses through Hope Kit care package program across the United States and socials in the Houston area. Share to help us to bring about more Dysautonomia Awareness! Oct 1 begins Dysautonomia Awareness Month. 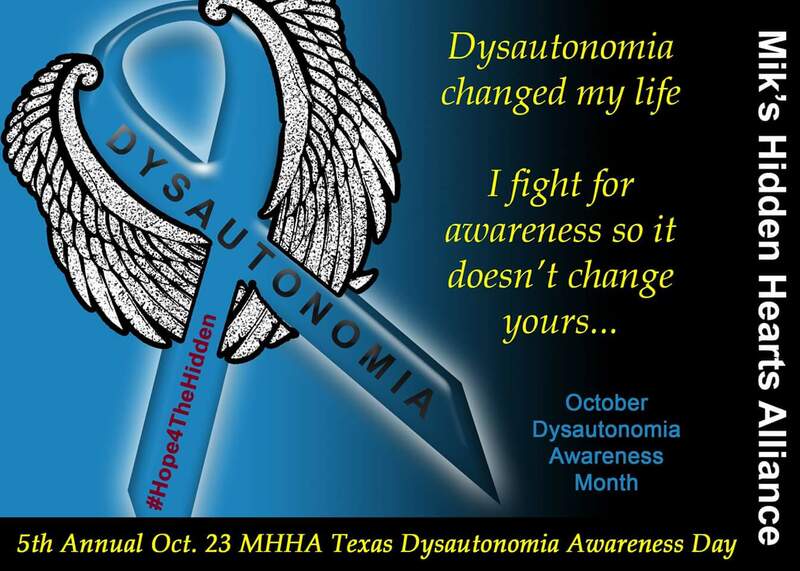 Oct 23rd is the 5th annual Texas Dysautonomia Awareness Day in honor of MHHA founder, Mik. Serving teens and young adults with dysautonomia and other life-changing chronic illnesses.